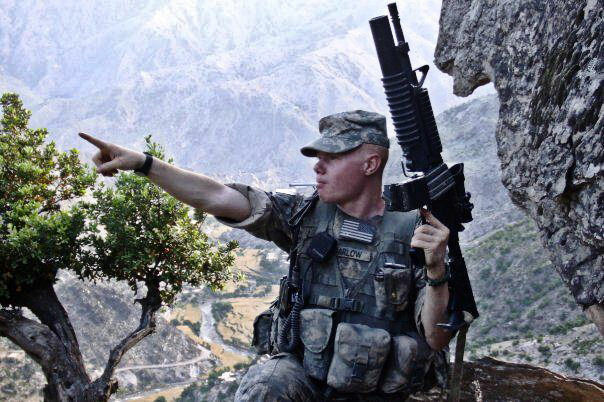 For our nineteenth installment let's take a look the most common thermal weapon sights used in the War in Afghanistan. 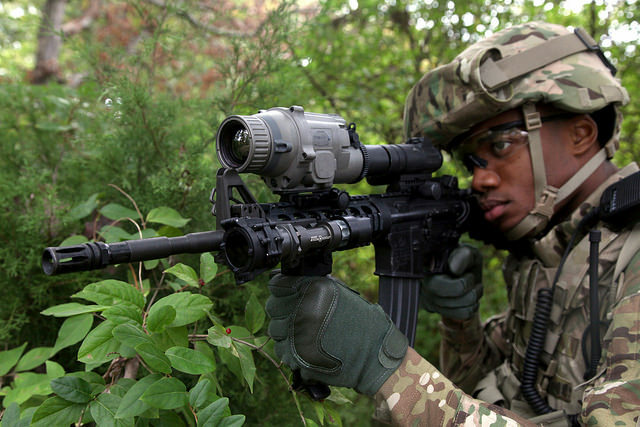 The AN/PAS-13 Thermal Weapon Sight (TWS) provides Soldiers with individual and crew served weapons the capability to see deep into the battlefield. It increases surveillance and target acquisition range, and penetrates obscurants either day or night. The TWS systems use uncooled, forward-looking infrared technology. It provides a standard video output for training, image transfer or remote viewing. TWS are lightweight systems that Soldiers can mount on a standard weapon rail and operate beyond the maximum effective range of the weapon. 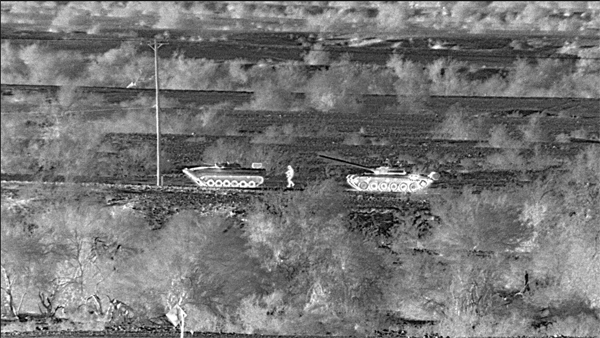 Product Manager Soldier Maneuver Sensors (PM SMS) is now fielding 17 micron (17um) sensor technology that provides size, weight and power improvements over previous configurations. AN/PAS-13(V)1 Light Weapon Thermal Sight (LWTS) for the M16 / M4 series rifles and carbines, as well as the M136 Light Anti-Armor Weapon. AN/PAS-13(V)2 Medium Weapon Thermal Sight (MWTS) for the M249 Squad Automatic Weapon (SAW) and M240B series Medium Machine Guns. AN/PAS-13(V)3 Heavy Weapon Thermal Sight (HWTS) for the squad leader’s weapon, M16 / M4 series rifles and carbines, M24 and M107 sniper rifles, and M2 HB and MK19 machine guns. Performance of fielded 25um systems. Performance of latest 17um systems. Operational time: HWTS/MWTS/LWTS: 20 hours (four lithium L91 AA). All variants with one battery change at ambient. For our eighteenth installment let's take a look the most common individual Night Observation Devices (NODs) used in the War in Afghanistan. The AN/AVS-6 Aviator’s Night Vision imaging System (ANViS) is a third-generation, helmet-mounted, direct-view, image-intensification device. 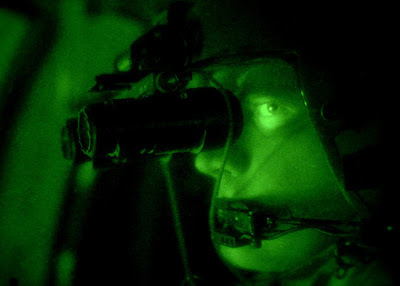 It enables Aviators to operate more effectively and safely during lowlight and degraded battlefield conditions. The low-light sensitivity represents a 35 to 40 percent improvement over the earliest ANVIS. Additionally, the gated power supply enables operation at significantly higher light levels than any of the previous designs. The ANVIS is capable of operating for 22 hours on two (2) AA Alkaline batteries and 34 hours on two Lithium AA batteries. The Low Profile Power Pack (LPPP) encompasses a primary and alternate capability, which allows Aviators to access a safety backup (alternate) of two additional AA batteries. Weight (maximum): 1.3 pounds with batteries. Magnification: 1x Operational time: 22 or 34 hours, depending on battery type. Power: Low-profile battery pack or from aircraft-supplied power. 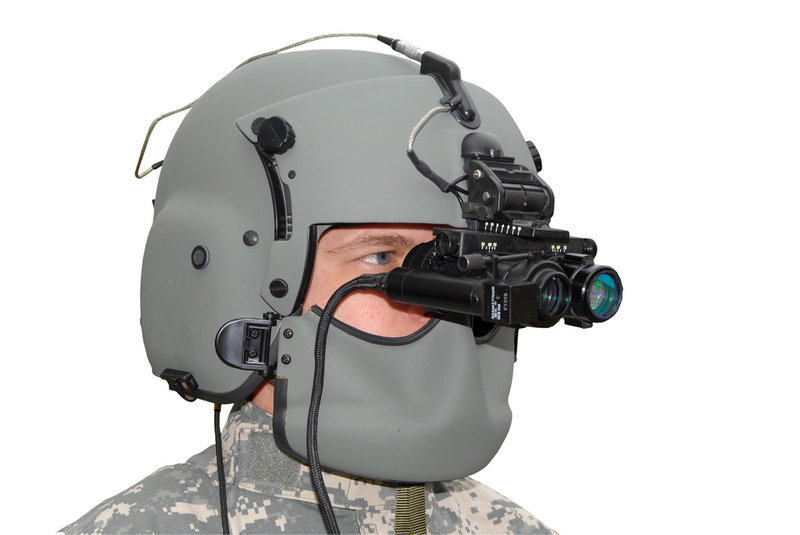 The AN/AVS-7(V) Heads-Up Display (HUD) takes aircraft data from numerous sensors and converts it to graphic files. This provides critical operational information superimposed as symbology onto the image the pilot sees through the ANVIS. The HUD minimizes the need for Pilots to examine cockpit instrument data, thus providing increased situational awareness outside the aircraft. The HUD system consists of the A-kit, which is the wiring harnesses, mounting brackets, and some additional sensors such as air data transducers, inclinometers, and thermocouple amps. A B-Kit, which consists of one CV4229(V) X/ AVS-7 signal data converter; one C-12293/ AVS-7 converter control unit; and two SU-180/AVS-7 display units. There is also an improved night flat-panel display unit, which can replace the cathode ray tube SU180s on the legacy platforms. In addition, there is a day flat panel display to give additional situational awareness capabilities. Both flat panel displays can plug and play with legacy systems. 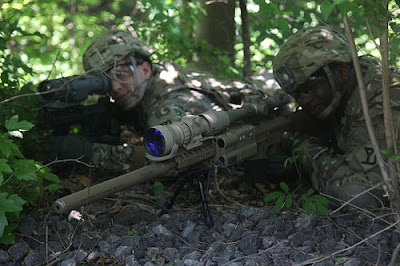 The AN/PVS-30 Clip-on Sniper Night Sight (CoSNS) is a lightweight, in-line weapon-mounted sight used in conjunction with the day optic sight on the M110 SASS and the M2010 ESR. It employs a variable gain image tube Snipers can adjust depending on ambient light levels. 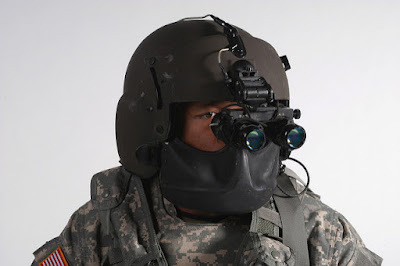 When used in conjunction with the M110 and M2010 day optical sight, it provides for personnel-sized target recognition at quarter moon illumination in clear air to a range of 600 meters. The CoSNS has an integrated rail adapter that interfaces directly to the MIL-STD-1913 rail for quick and easy mounting to or dismounting from the weapon. The CoSNS allows a Sniper to maintain the current level of accuracy with the M110 and to deliver precise fire within 1 minute of angle. 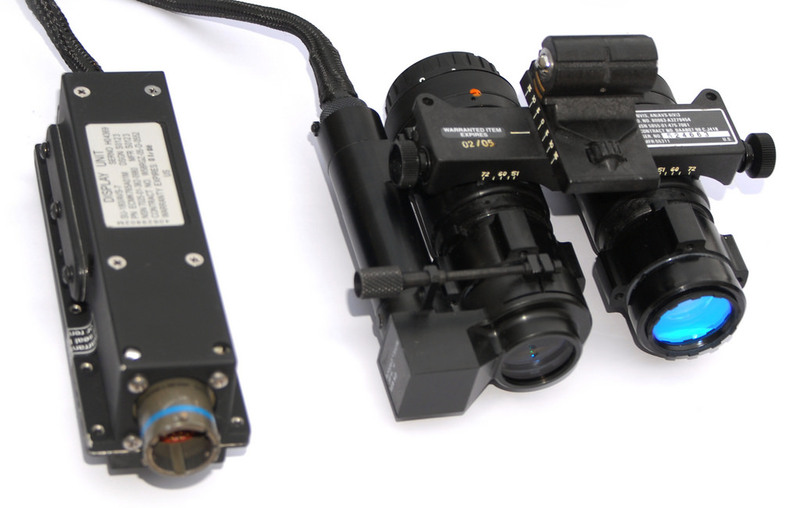 Use of the CoSNS does not affect the zero of the day optical sight and allows the M110 and the M2010 to maintain bore sight throughout the focus range of the CoSNS and the M110 and M2010 day optical sight.